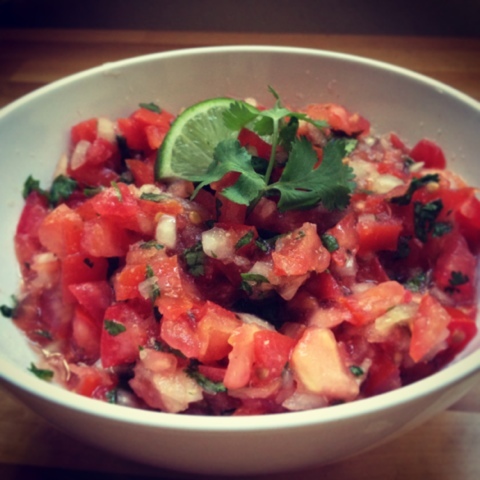 My good friend Angelica made this salsa recipe in college and it is addictively delicious. I've made it myself several times since and it is way better than any salsa you can get in the store or restaurant! it is a pico de gallo style salsa. Dice tomatoes, onion, and jalapeño. Place in medium sized bowl. Mix in cilantro and squeeze in juice of 1 lime. Sprinkle salt and garlic powder over mixture. Stir together. Chill and serve!